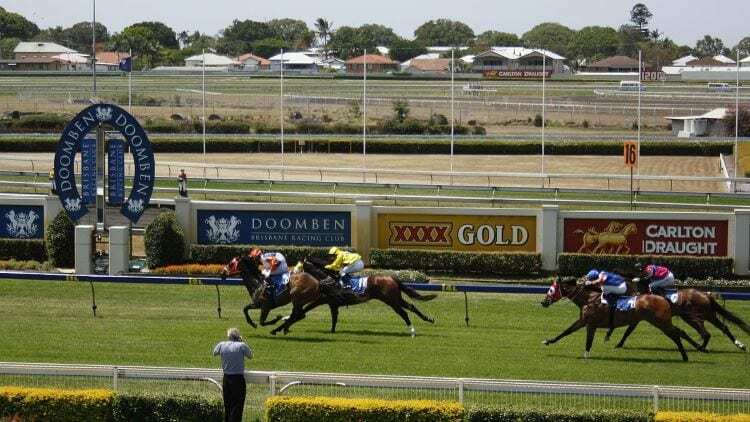 There are eight races on the midweek card at Doomben this Wednesday and we have free tips and form for every race. The Magic Millions are over for another year but there’s still great racing action coming out of Queensland. Punters are getting even betting fields to invest in at Doomben this Wednesday. Chris Waller lines up the three-year-old gelding which hasn’t been too far away behind some nice types in two starts to date. He ran sixth at Gosford on debut as the $1.53 favourite before running fourth at Newcastle as the $2.75 favourite. Punters have been burned twice now but his trial form has resulted in two wins and maiden success isn’t far off. He’s on the improve and we’re expecting another short quote here. The three-year-old filly went close at Doomben last start and that form looks tidy for a similar race here. Trained by Magic Millions-winning trainer Chris Munce, the filly by Hinchinbrook has gone close at her last two starts and a win doesn’t look far off. The inside draw is ideal and she could control the pace in the small field. Ben Currie lines up the recent trial winner which should have good support on debut. The son of All Too Hard scored a trial win at Cranbourne by a half-length to prepare for this. We’re not sure why he travelled from Queensland to Victoria for a trial but none-the-less it was a good performance and Currie’s stable has been kicking home winners of late. Tricky field but he boasts each-way value. The three-year-old gelding broke through last time out at Ipswich and although only fair in a recent trial, he wasn’t asked for much. Toby Edmonds lines up the son of Albrecht which raced against the likes of Sunlight and Asharani at his first two starts. That form bodes well for this and having Jeff Lloyd in the saddle is a bonus. Three-year-old filly which ran well for fifth on debut at Sunshine Coast and that came after some steady trial performances. She scored consecutive trial wins at Doomben prior to her debut, so having winning experience on this track helps and that should take her close. She ran at odds of $7.50 on debut and punters should get around the same here. Mishani Electra has been nearing a win after three second placings this campaign and despite the big weight, she should go close here. The Currie-trained mare finished second behind Fabulonh last start, which is great form for this and the reason why she’s carrying 63kg. No jockey has been booked yet but expect an apprentice. Always tough to beat, the son of Helmut went another good race when second at Doomben last start and that form should stack up nicely. He makes the rise up in class to C3 grade but he drops in weight and he gets an apprentice in the saddle to help with the weight. He has finished out of the money in two of 13 starts and that consistency has rewarded punters. Jockey Mark du Plessis will be full of confidence after riding a winner at the Magic Millions and he could get Mullaghmore over the line here. The three-year-old gelding scored by 1.3 lengths at Gold Coast before heading for a spell. He has since returned with a trial placing and anything close to his best should be good enough here. Drawn to get every chance from barrier two.